is also on sale now. 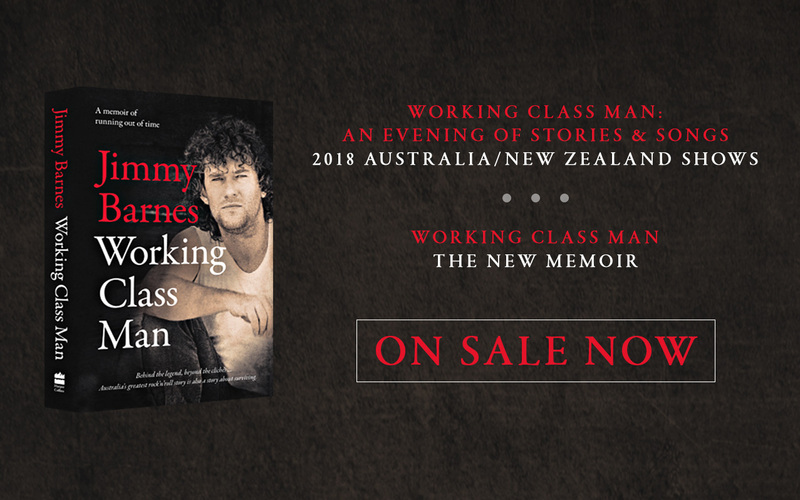 Fans are strongly advised to ONLY buy tickets to his tour via the genuine links below and those links listed on www.jimmybarnes.com, otherwise they risk getting ripped off by online scalpers. Like that previous production, this new tour will see Jimmy telling his life story and singing stripped back versions of songs that have shaped his journey. However, unlike its predecessor, this live show – and book – will cover the Oz rock icon’s entire adult life, revealing the successes and excesses of Australia’s greatest rock ’n roll story.